Jolla is the ultimate hipster statement. A smartphone for the tech savvy wishing to eschew mainstream handsets like the iPhone or Samsung Galaxy models, and uninterested in the operator system battle waging between iOS, Android and Windows Phone. The Jolla story begins with MeeGo, the short-lived operating system Nokia co-developed with Intel and deployed on its locally-released N9 device, in its awkward transition between Symbian and Windows Phone. The N9 was quite a handy smartphone and was described at the time as “the best looking and slickest smartphone Nokia has ever built“, by professional smartphone reviewer and respected rival hack Ross Catanzariti. The main criticism, both from Catanzariti and his former foe at Cnet, Joseph (8/10) Hanlon, was a lack of apps. Back in 2011, the popularity of apps was established – Angry Birds had been on the market for two years and ‘gone mainstream’ – and consumers were actively seeking out application-based smartphones following Apple’s ubiquitous ‘There’s an app for that’ campaign. MeeGo had the goods in terms of appearance, ease-of-use and the then nascent gesture control which is now a pre-requisite. Hanlon wrote of its “extremely low learning curve”, which seems quaint now but was very important to suppliers looking to attract the millions of feature phone users up to these higher priced models. The N9 sold for RRP $949 and barely made a ripple on a market being simultaneously dominated by iPhones and high-end Androids from HTC and Samsung, and decimated by the first influx of entry level Androids from Telstra and Optus via OEM brands. Two hours in the car from Nokia’s head office in Espoo, Finland, is Pirkalla, where the former Nokia N9 team set up a new base to continue developing the MeeGo operating system. 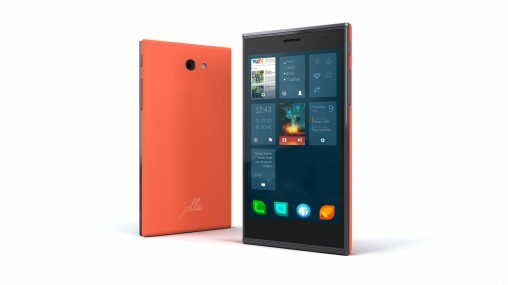 Jolla started accepting pre-orders for its first smartphone earlier this year and announced in August 2013 that it would be deploying handsets to users in 136 countries by the end of 2013. Jolla has achieved some level of carrier support, through Finnish telco DNA Oy, though it has naturally received little-to-no attention outside its homeland. This model runs an updated hybrid of MeeGo and another Linux-based OS, Mer, called Sailfish OS. Not just an operating system, the OS could also stand for ‘open source’. The company said in November 2012 that it wanted to build Sailfish with community involvement and participation. I asked a software engineer what the advantages of having an open source operating system were. While not conveying the same ebullient enthusiasm for open source-ism as Jolla does, he did compare it favourably with some closed source rivals. “Over time, this leads to much better quality software. Not just in terms of security, but overall. That’s one of the reasons why Linux completely dominates the server market now. “Does this translate to a phone? It’s hard to say. Parts of iOS are open as well, but for the most part it’s closed source software and it’s of a very high quality. Developers can create third party apps specifically for Sailfish, while users can also access apps initially intended for Android. “Users enjoying the unique gesture-based and modern Sailfish OS user experience will be able to take full advantage of the Android application ecosystem available through various app stores globally,” Jolla said in a statement. Adapting a unique operating system for Android apps is one of those good intentions on the road to smartphone hell. You’ll certainly step over many failed BlackBerry cobblestones on that road, such were the promises of Android compatibility that never truly eventuated for its PlayBook tablet and the last smartphones it released in its pre-BlackBerry 10 days/daze. Not only is Sailfish flexible from an application perspective, it is also scalable by device. The company claims it can work effectively as a smartphone, tablet, Smart TV and in-car entertainment operating system. This handset a 4.5-inch qHD display with Gorilla 2 Glass, an 8-megapixel rear camera, 16GB on-board storage (expandable via Micro SD) and 3G and 4G connectivity. It is available to Australians for around $600, depending on the exchange rate from its 399 euro price tag. In a duopoly market controlled by monolithic players, Apple and Android, with some heretofore underwhelming efforts from avuncular brands like Microsoft and BlackBerry, Jolla represents an intriguing and authentic opt-out option. While unlikely to ship in the millions, this handset represents a unique opportunity for the savvy importer to target a cashed-niche looking for something other than the iPhone’s pastel pallet and Android’s hideous reverse font.